Ruska tulee! (See Visit Finland’s ‘Ruska – Autumn Colours’ Facebook album for some incredible nature photos.) Now it’s October, the leaves are turning from green to golden & red and the thermometer is now dropping below zero degrees overnight. If you followed the suggestions in my Spring Tips and Summer Tips articles, you will have spent much of the past few months outdoors so, as the weather turns colder, I thought I’d take a look at some indoor activities. Whether you want to shelter from the elements, or refuel after physical activity in nature, there should be something here for you. In my Summer Tips article, I listed some of the best places to eat Vegan food in Seinäjoki. If you are more of a meat-lover, here are some of the best places to eat meat in Seinäjoki – this may be especially useful if you are not a strict follower of Vegetarian Awareness Month, AKA ‘Meat-free October’. 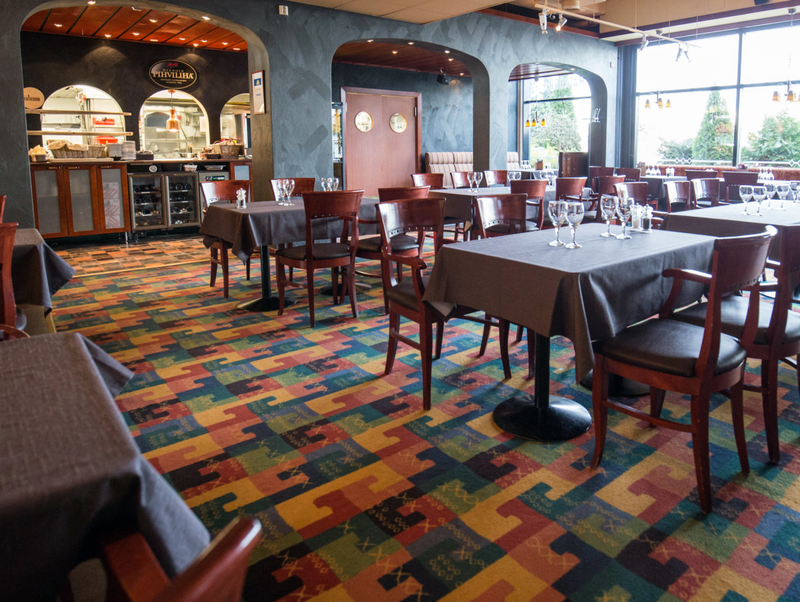 Lakeus Matador – Offering a varied selection of cuts of high-quality steak, accompanied with other locally-sourced ingredients and a fresh salad buffet for starters. Matador has fond memories for me as the place I saw my son demolish his first sirloin steak. 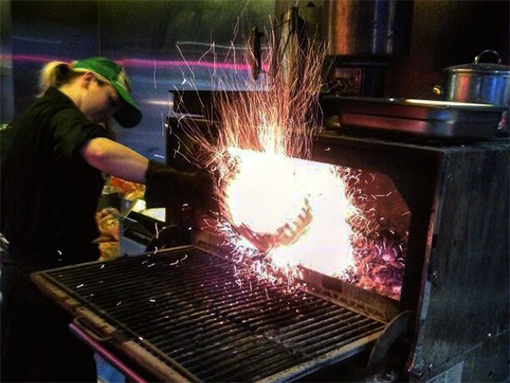 Holy Smoke – Holy Smoke lives up to its name, offering a selection of food from a charcoal grill every day. It earns its place on this list for two special offerings; the Friday Burger Buffet and Steak Sunday (two steaks for the price of one!) Check out their website for more details and to book a table. 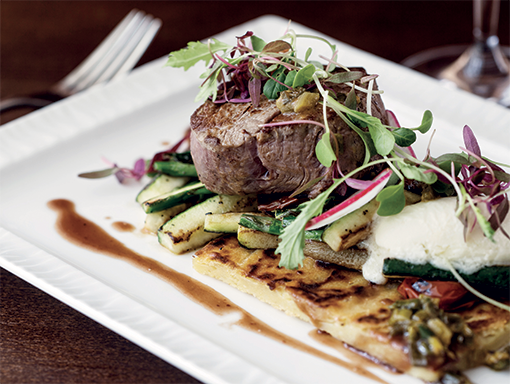 Ravintola Juurella – More fine-dining, than a steak-house, however, meat plays an intrinsic part of Juurella’s menu. Priding itself on local produce, with fine cuts of meat from local farms, vegetables from local producers and berries that were probably found in the local woods earlier that day. 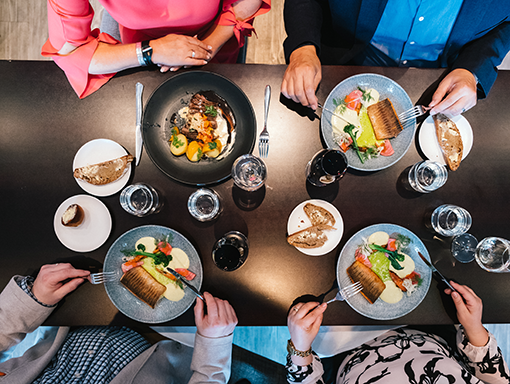 Uppalan Kartano – Always competing hard with Juurella to be the top restaurant in Seinäjoki, Uppalan Kartano offers a similarly local selection which, in October 2018, includes reindeer pastrami, elk fillet and beef two ways. Amarillo – Like Matador, Amarillo is part of the S-Group chain, which offers steaks and burgers as part of a wider range of Tex-Mex food. All served-up in a lively environment, so you can come for the food and stay for some drinks. 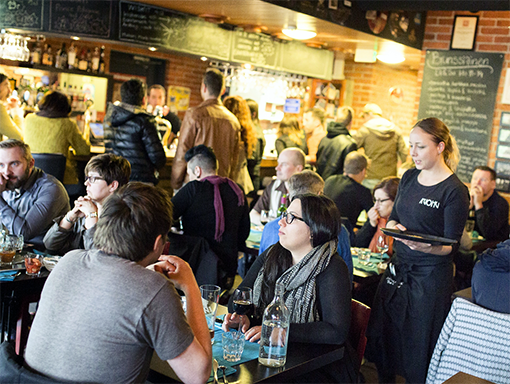 As well as a fine selection of restaurants, Etelä-Pohjanmaa is also home to a varied selection of innovative brewers, distillers and even a winery. Here are details of five producers, proving it is possible (if you have a strong constuítution) for you to visit a different producer every weekday. I’ve left the weekend free for you to recover – I’d recommend you to partake in some of these activities outside in the beautiful Finnish nature. 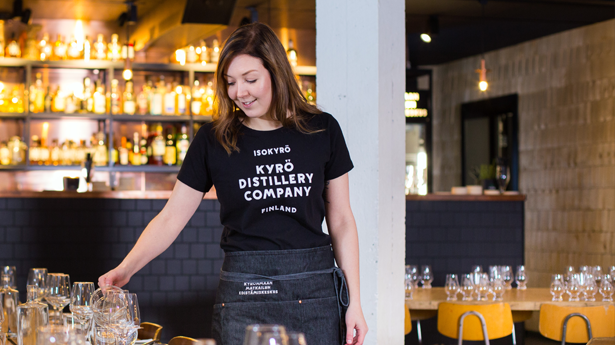 Kyrö Distillery – Located on the banks of the Isokyrö river, 30 minutes from Seinäjoki, the Kyrö Distillery Company is something of a modern phenomenon. It started by distilling whisky before adding gin to its range, going on to win awards and gain prominence when James Bond (well, Daniel Craig) was photographed holding a bottle of their Napue Gin. 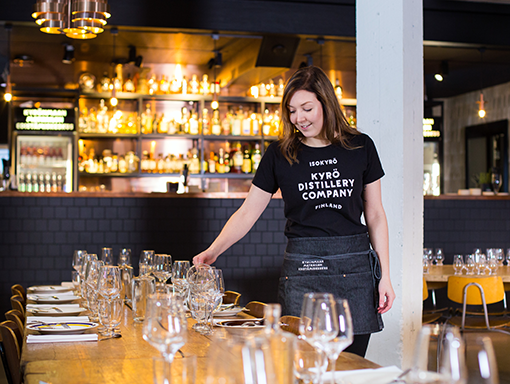 The distillery bar known as Kyrö Tourism Board, or Kyrön Matkailun Edistämiskeskus in Finnish, is open on Saturdays between 4pm-7pm, plus on the first Saturday of every month, there is a live music event at the distillery bar between 4pm-12am. Distillery tours are offered for 10€ per person. Oh yeah, the drinks are excellent and the cocktails have a kick, so be sure to organise a driver. Punaisen tuvan viinitila – Finnish wine. Yes, that’s right, Finnish wine although, these are made from the plentiful local berries rather than grapes. The ‘Red Cottage Winery’ has been producing berry wine in Alajärvi since 1995. There ia a restaurant but you need to book in advance for a minimum of 10 people. If you’re travlling there, it’s probably worth booking a wine tasting session to help you find your favourite(s). Mallaskosken panimoravintola – Home of Mallaskoki beers, the brewery and restaurant are located close to the centre of Seinäjoki. The location is perfect for a warm summer evening eating and drinking on the terrace, but a brewery tour and beer tasting works just as well in winter too. There are a few different prices from 10€ for just the tour, up to 22€ for the tour and a taste of 8 beers – what better way to kick-off your evening? The Mallaskoski selection is always evolving, but I often revert to my favourite Rainy Summer. Mallaskuun panimo – Situated on the outskirts of Lapua, Mallaskuu brewery produces a range of 12+ beers with their distinctive yellow logo on the bottle. 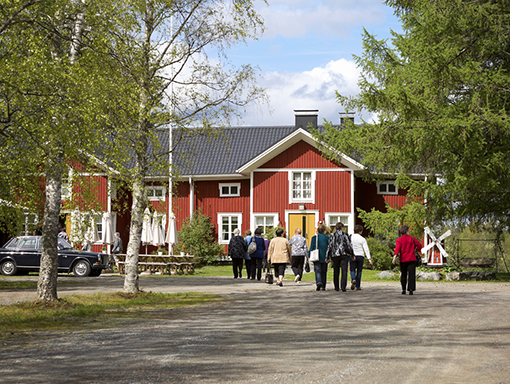 It is possible to take a tour of the brewery with beer tasting, before taking a short journey to the Mallaskuun Brewery restaurant in Lapua Cultural Centre, known as Vanha Paukka. This is a disused gunpowder factory that is now home to shops, a cafe, a library and the Mallaskuu bar & restaurant, which is open for lunch Monday-Friday, and until 1am on Friday and Saturday – plenty of time for you to try the range and find your favourite. As the summer sports seasons come to a close, by October we already know the Pesäpallo (Finnish Baseball) champions; Men Joensuun Maila, Women Kirittäret Jyväskylä. We also know that HJK Helsinki are champions (yet again) of the Veikkausliiga, the top division of Finnish football. It is at this time that the indoor sports start their competitive season, so there is still plenty of spectator sports to keep you entertained. Salibandy – SPV. Salibandy is indoor hockey, also known as Floorball and Unihoc. It is a high-tempo game requiring good technique, but it also requires the players to be tough enough to withstand collisions and falls. Seinäjoen Peliveljet (SPV) play home games at the Swimming/Sports Hall and I recommend you taking in a game, especially as season 2018/19 has started with 5 wins in a row. Tickets range from 13-17€ for adults. 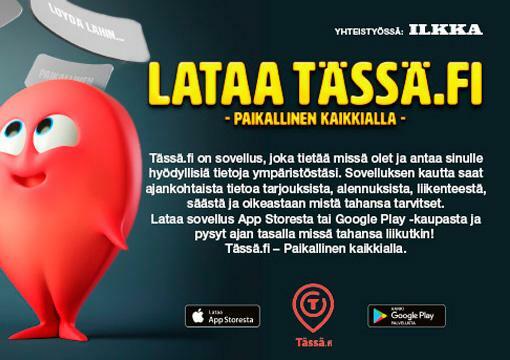 Ice Hockey – Vaasan Sport | S-Kiekko. Top-level, Finnish ice hockey can be found in nearby Vaasa. Vaasan Sport have been in the SM-liiga now for a few years, and a visit to the Vaasan Sähkö Areena is worth the effort to experience the football-style atmosphere created by the fans behind the goal. Tickets range from 14-39€ for adults. If you want something closer to Seinäjoki, then check out S-Kiekko. Based in the Suomi-sarja, the third tier of Finnish hockey, S-Kiekko face opponents from across Finland at Seinäjoen Jäähalli, close to OmaSp Stadion. Tickets are a bargain 6€ for adults. Basketball – Kauhajoen Karhu | Lapuan Kobrat. There’s nothing better than a local rivalry to spice things up. Kauhajoen Karhu, based 50 minutes away in Kauhajoki, are the current Finnish champions and competed in the 2018 Champions League qualifiers. Karhu tickets are 15€ for adults. Lapuan Kobrat have found life difficult in the Korisliiga in recent years, but a derby game against Kauhajoki (Bear vs Cobra) would be worth seeking out. Kobrat tickets are 14€ for adults. 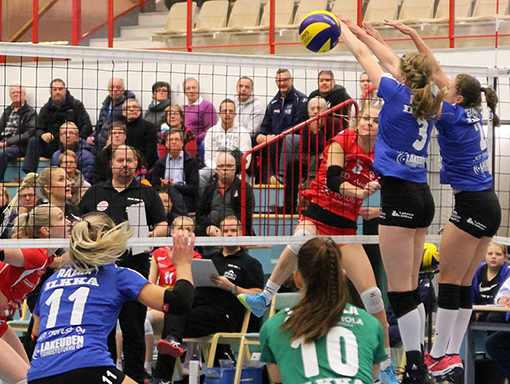 Volleyball – Nurmon-Jymy. Finnish volleyball is going through a positive period right now, and it is in the women’s game that we find the nearest top-level team. Nurmon Jymy play at Nurmohalli, just 10 minutes from the centre of Seinäjoki, and regularly attract 400+ fans for home games. Tickets are 12€ for adults. Way back in my Summer Tips 2017 I wrote about lunch culture in Finland, and suggested five places to try in Seinäjoki. The restaurant industry, however, moves quickly and several new places have opened in the past year and each one offers something different. Here is an overview of four new restaurants for lunch. Kototie Ravintola Pizzeria – Don’t let the name mislead you. While this is a pizza restaurant, it is much more as well, especially at lunch time. The lunch buffet costs 9.50€ and includes Indian and Chinese food as well as salad and pizza. They proudly use locally-sourced meat from Atria and cheese from Valio to create the freshest, tastiest lunchtime food. It is located a few minutes from Seinäjoki town centre in the Kivistö area, but there is plenty of parking and it’s well worth taking time to visit. Varicko – Also located a little way from the town centre, in the Rytmikorjaamo business and entertainment complex. For 9.60€, Varicko offers an interesting selection of international dishes, Finnish classics plus vegetarian offerings. 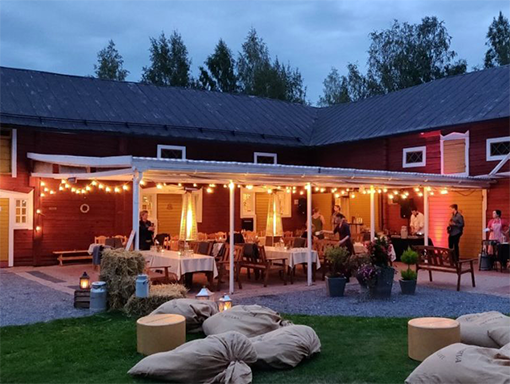 Also worth checking-out during the evening events and concerts at Rytmikorjaamo, when they offer a pub menu (and beer) for late-night partygoers. Pizza-Center – As mentioned in my Summer Tips 2018 as a destinations for vegans, regular size pizza with salad buffet followed by tea/coffee costs 9.50€. The pizza is light and crispy and the salad is fresh, remember to ask for the fresh garlic puree to accompany the pizza. 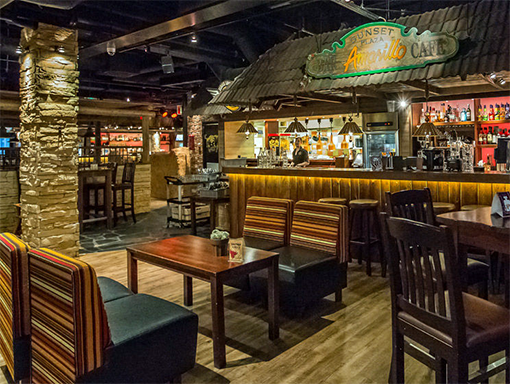 Scandic Hotels Ravintola Olivo – When Hotel Cumulus became Scandic Hotel, Ravintola Olivo replaced the long-standing Huvi Retki restaurant. 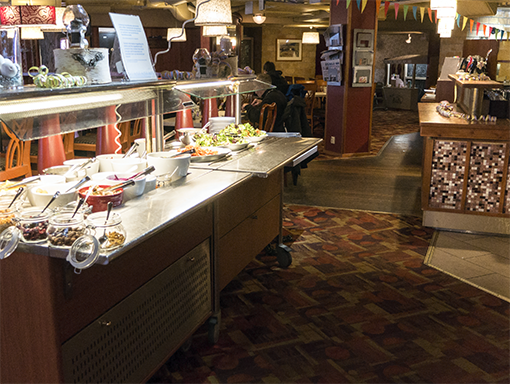 For 9.80€, the lunch buffet offers traditional Finnish food with a few unusual twists (Coca Cola barbecue sauce, Liquorice sauce) along with a salad buffet, bread. Lunch includes coffee or an impressive selection of loose tea with tea balls for making a perfect brew.